Get competitive quotes on outdoor advertising in the Queen City! Charlotte is the largest city in North Carolina with better than 1M residents county-wide, offering an abundance of outdoor advertising options on top of the activities and events luring visitors to a multitude of venues. 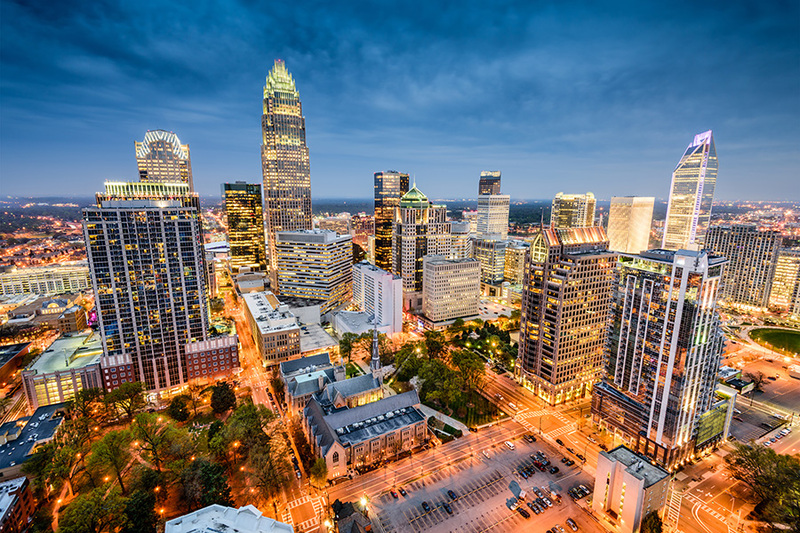 The Queen City is home to arts and cultural attractions and hosts two prestigious sporting events – the Nascar-sanctioned Monster Energy Open at Charlotte Motor Speedway and the PGA Championship at Quail Hollow. Charlotte is truly a prime venue for outdoor advertising bringing your message to an unlimited audience. Creative media options exist near Douglas International Airport (USAir Hub), major interstates 85 and 77, the 485 Beltway and along the Charlotte Area Transit System (CATS). BillboardsIn can help you maximize your advertising budget by offering leading edge advertising assets to include billboards and beyond — digital billboards, ads on buses and bus stops, taxi advertising and many more fresh options.